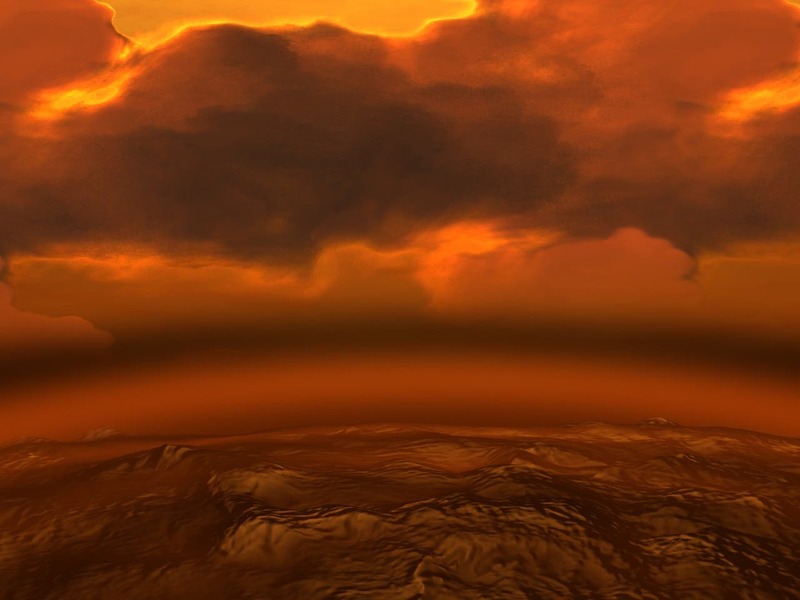 Some of the final results sent back by ESA's Venus Express before it plummeted down through the planet's atmosphere have revealed it to be rippling with atmospheric waves – and, at an average temperature of -157°C, colder than anywhere on Earth. It spent eight years exploring the planet from orbit, vastly outliving the mission's planned duration of 500 days, before running out of fuel. The probe then began its descent, dipping further and further into Venus' atmosphere, before the mission lost contact with Earth in November 2014 and officially ended in December 2014. 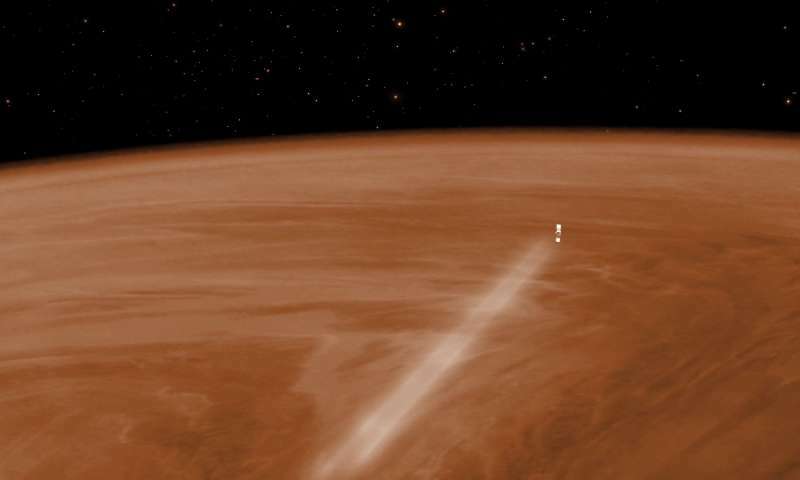 Venus Express was industrious to the end; low altitude orbits were carried out during the final months of the mission, taking the spacecraft deep enough to experience measurable drag from the atmosphere. Using its onboard accelerometers, the spacecraft measured the deceleration it experienced as it pushed through the planet's upper atmosphere – something known as aerobraking. 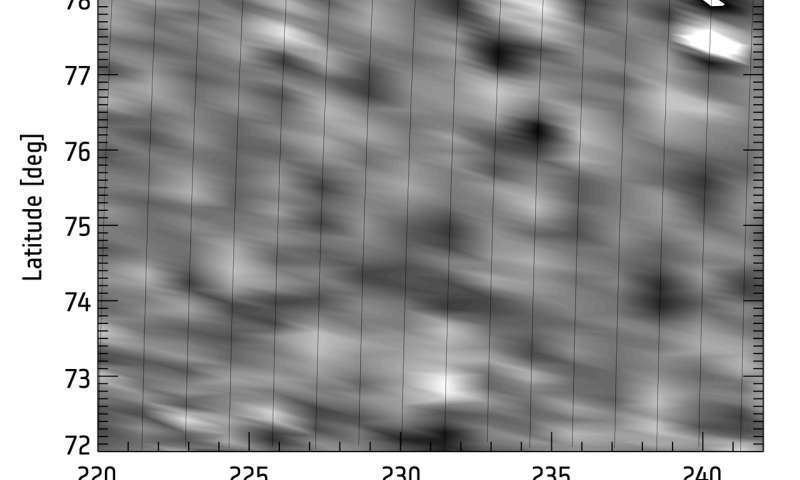 The image above shows the density of Venus' atmosphere in the northern polar regions at altitudes of 130 to 190 km. 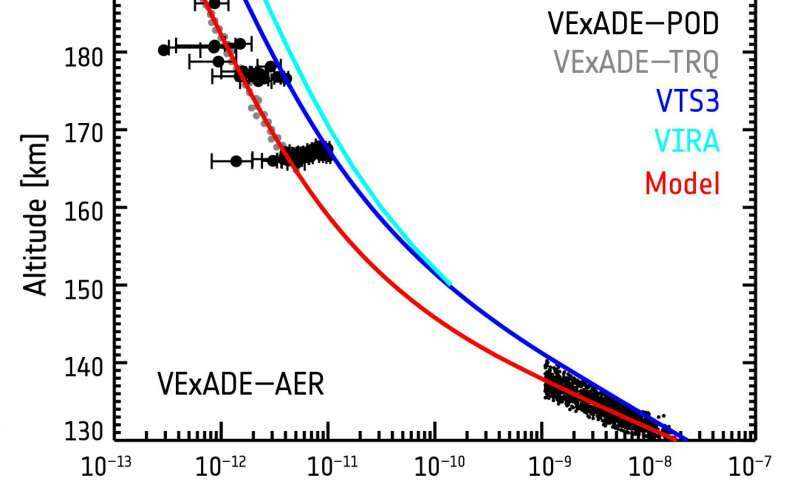 All data points were gathered during different phases of the Venus Express Atmospheric Drag Experiment (VExADE), performed between 2008-2013 (values above 165 km) and from 24 June to 11 July 2014 (values below 140 km); the black dots to the lower right were from the aerobraking phase (AER), the black dots to the upper left from the Precise Orbit Determination phase (POD), and the grey dots from torque measurements (TRQ). "Gravity May Answer Last Great Unknown in Standard Model of Physics"
The 2020 MARS Rover –"Mankind's Most Sophisticated Search for Signs of Life"